The Constrictor was designed specifically to end slipping seat posts. 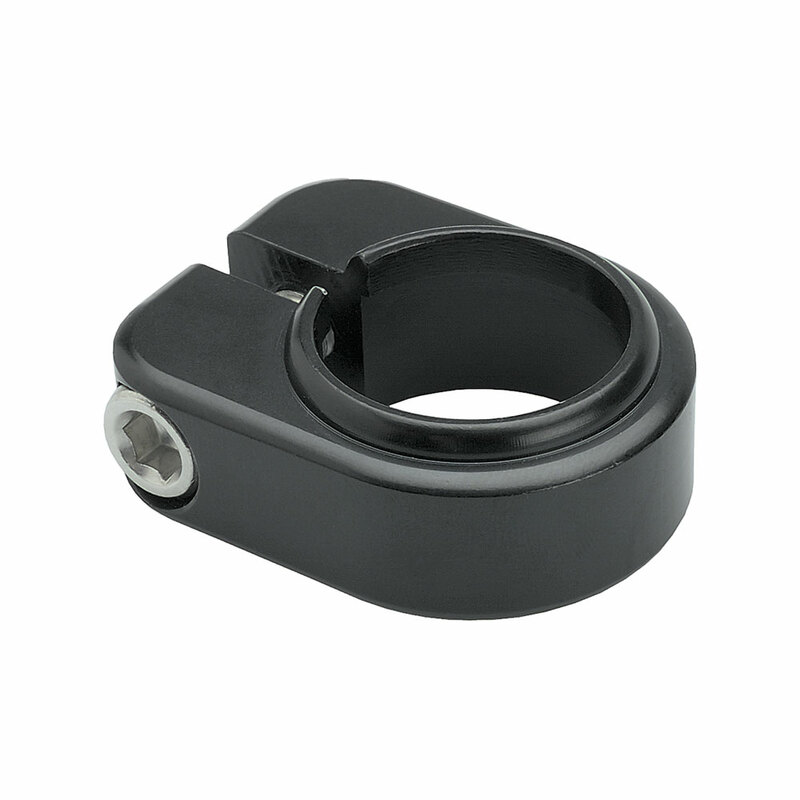 The extra-thick clamp utilizes an 8mm stainless bolt and accommodates a rear cantilever brake hanger, if you decide to go that route. The Constrictor is machined out of aluminum billet and black anodized. It's available in 30.0mm and 33.1mm sizes.